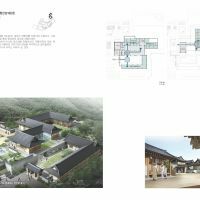 This project is to design a multi-complex for Ko­rean medicine which has the character of theme park. 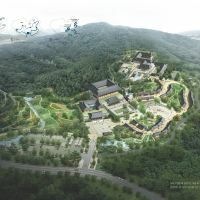 The program includes museum, clinic, ac­commodation, retails and outdoor activities. 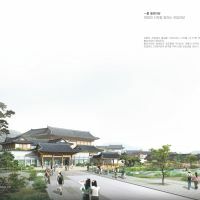 The challenge is how to build 2 or 3 story-Korean traditional building on the north side of the hill. 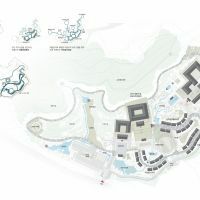 We put the buildings on the north side of the site where the slop is relatively gentle and close to the entrance of the site, trying not to interrupt the existing nature and land, and then connect them with the circulating passage. 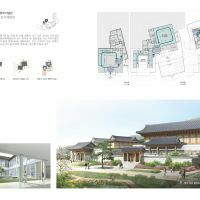 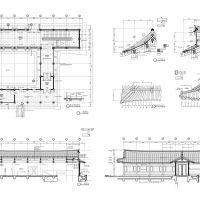 We make full use of the land’s level differance and split the building into pieces to overcome the restriction of the volume and to realize the con­cept of traditional space. 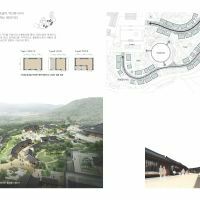 As a result, the whole village links as one and cre­ates authentic landscape in the harmony with the surrounding.